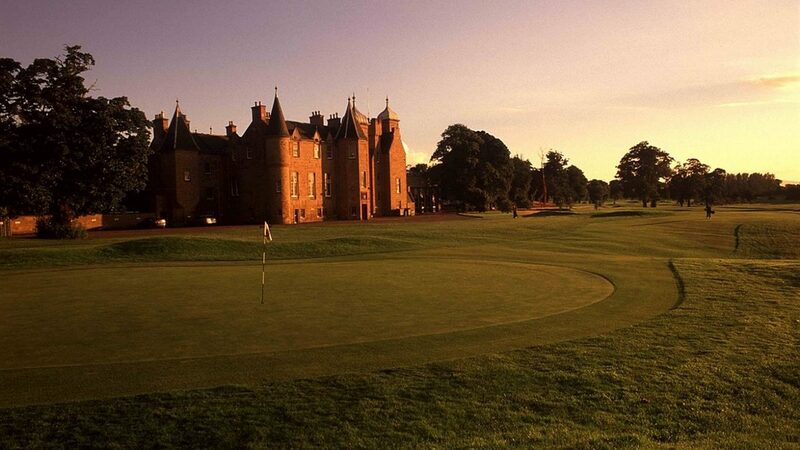 Royal Musselburgh Golf Club is at the start of the famous stretch of golf courses on the East Lothian coast. This stunning James Braid designed course is ideally suited for golfers of all abilities and is ideal for society’s and corporate days. Why not warm up on our 300 plus yard driving range or tricky practise putting green before heading out. Many holes have spectacular views to the Edinburgh city centre and across the Firth of Forth to Fife. The Club is the sixth oldest in the world originating at the 9 hole Musselburgh Levenhall links where the Honourable Company of Edinburgh Golfers, Royal Burgess Golfing Society and Bruntsfield Golf Club also played. With a magnificent club house boasting a fully stocked bar and restaurant to the modern well equipped professional shop a warm welcome id guaranteed at the must visit gem. Pride of place in the Royal Musselburgh is the Old Club Cup dating back to 1774, the oldest trophy still competitively played for in the world. Also, on site is the original hole cutter and many more historic items of golfing memorabilia. Winter season November to March Packages start from £25pp. Summer season April to October Packages start from £50pp. We are always happy to discuss tailored requirements to suit individual requirements. We have a variety of packages starting from a low as £25 per player April to October with 18 and 36 hole packages available. These can be built around a full golfer’s breakfast, lunch and/or evening meal. We pride ourselves in sourcing good quality local ingredients with meals being prepared by our chef. Contact the Club and we will put together a bespoke package to suit your needs. Situated to the east of Musselburgh on the B1361, just off the main A1 and only 9 miles from Edinburgh City centre we are services by two local train stations at Wallyford and Prestonpans. For our most competitive rates contact the Professional shop on 01875 810139. East Lothian has excellent accommodation to suit all requirements and our staff will be available to recommend the most suitable to you.